Please join us on the evening of September 7th for the opening reception of Between Righteousness and Racism, an exhibition of works on canvas by Yvonne Muinde. 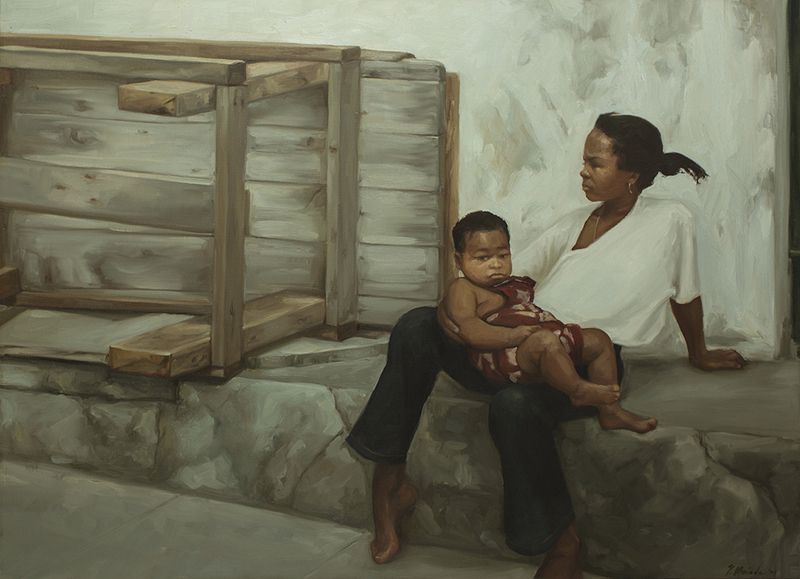 Yvonne Muinde’s work depicts subjects mined from her photographs, memories, and experiences of living and traveling around the world. 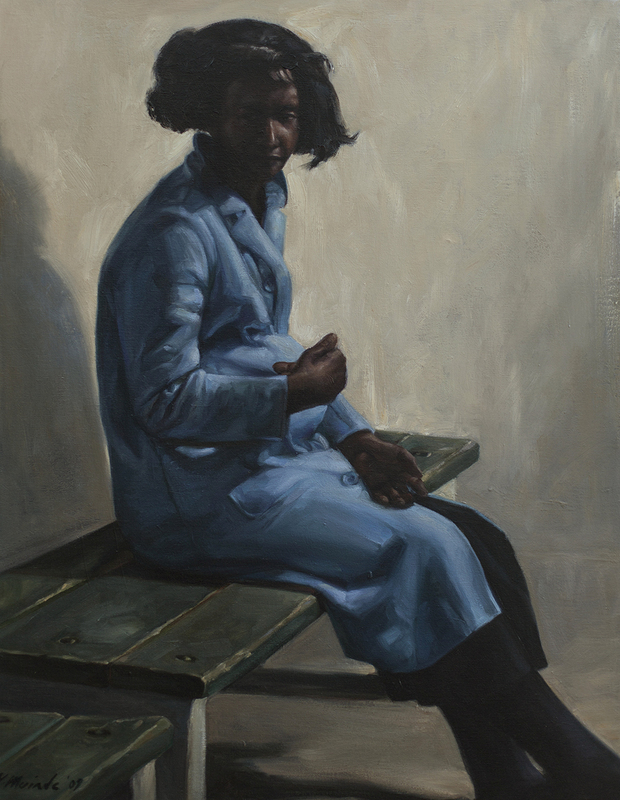 Through a politically-critical lens, Muinde successfully illustrates moments of deep reflection, action, and emotion while examining issues at the intersection of race, culture, class, and identity. 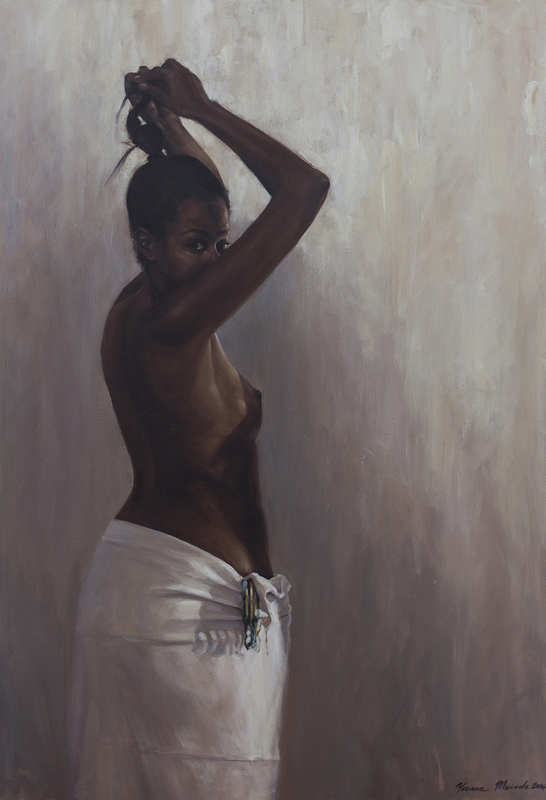 Her subjects confront the viewer with their gaze, generating a level of intimacy intended to evoke an emotional response. Additional images and information can be found on our website and you can find the event on Facebook. Yvonne Muinde (Nairobi, Kenya) is a visual artist who works primarily with paint on canvas. She studied art and design in the United States, graduating in 1997 with a bachelor’s degree from the Academy of Art College in San Francisco. Since completing her degree, she has exhibited in both group and solo shows throughout the Bay Area, New York, New Zealand, and Nairobi. Her work is in private collections and galleries throughout the United States. In 2003, Muinde earned a certificate in Multimedia Studies from San Francisco State University. In 2004, she began working in visual effects production as a digital matte painter. She was awarded for Outstanding Matte Painting from the Visual Effect Society in 2010 for her work on Avatar. Along with her work in visual effects, Muinde has also worked as a freelance illustrator and mural painter, having earned numerous commissions to create large-scale works throughout the western United States. An artist who plays with ambiguity to allow for myriad interpretations, Muinde is interested in the diverse responses audiences have to her work. Yvonne currently lives and works in Vancouver, BC.